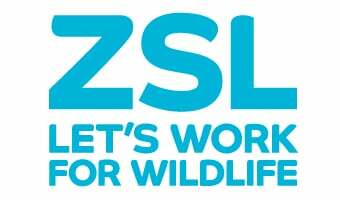 Opened in 1828 by the Zoological Society of London, ZSL London Zoo is the world’s oldest scientific zoo and the brainchild of Sir Thomas Stamford Raffles, who was also renowned for founding Singapore. For almost 20 years only fellows of the Society were allowed to access the Zoo for scientific study, until the doors were opened to the public in 1847 to help funding. There are a number of listed buildings around the ZSL site in Regent’s Park, one of the most peculiar being the traditional telephone box at Penguin Beach, which is in fact Grade I listed. Other notable listed buildings include the old penguin pool designed by architect Berthold Lubetkin. The gorilla statue at the entrance to ZSL London Zoo is a tribute to one of our most famous residents, Guy. The Western lowland gorilla arrived at the Zoo on Guy Fawkes Night, hence his name, and became something of a celebrity, attracting thousands of visitors to the Zoo between 1947 and 1978. Despite Western lowland gorillas being the world’s largest primates, Guy was a gentle giant and would cradle birds that had flown into his enclosure in his hands before setting them free again. ZSL London Zoo was the first place in the world to breed the critically endangered Lake Oku clawed frog in 2014, allowing keepers to gain crucial insights not only into the requirements of the adult frogs but also their tadpoles. Prior to breeding at ZSL, none of this had ever been seen in zoos or the wild. Now that the reproductive biology is known, we can feed this information into conservation management species in Cameroon. One of the few paintings, from life, of a dodo displaying its tail feathers resides in the ZSL library at Regent's Park. If you look closely, you can see the dodo in the bottom left hand corner of the image above. The collection of dodo paintings created by artist Roelandt Savery are particularly poignant as the species became extinct in 1681, around 63 years after the last painting was made. Children’s story Winnie-the-Pooh was inspired by a female black bear called Winnie that lived at ZSL London Zoo from 1914 until her death in 1934. She was brought to the Zoo by a Canadian regiment on its way to fight across the Channel in France and unlike most bears, was extremely tame and enjoyed being handled. Author Alan Alexander Milne, changed the name of his iconic character from Pooh to Winnie-the-Pooh after visiting the Zoo with his son, Christopher Robin, and being inspired by the bear. In 1865, ZSL London Zoo became home to an African bull elephant named Jumbo and was the inspiration behind the word now found in the English dictionary meaning extremely large. Growing to 11ft tall, Jumbo was quite a sight to behold and brought hundreds of visitors to the Zoo during his time here. The giraffe house at the Zoo is the oldest zoo building in the world still used for its original purpose. Jenny made a profound impression on Darwin and he visited her two more times at the Zoo, noting that she was "astonished beyond measure" when she saw her reflection in a mirror. If you'd like to discover more about the history of ZSL, follow the library's monthly arterfact blog, or why not book onto a History Tour?